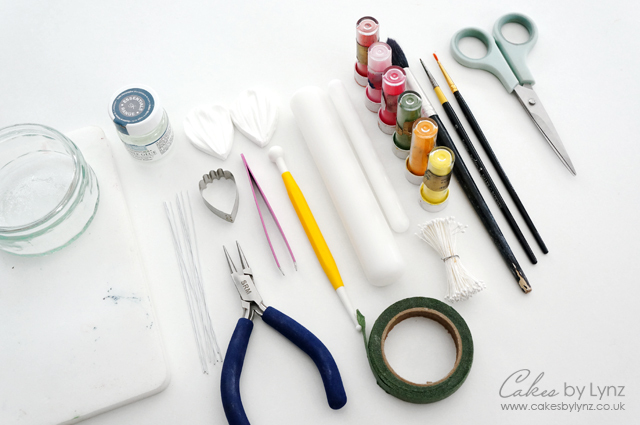 If you have been reading my blog for a while you will know one of my favourite things to make are gumpaste flowers, so I thought it was about time I added a new flower tutorial to the channel. The temperature has also taken a bit of a plummet in England so making these flowers really made me look to the warmer Spring weather when all the flowers start to appear. Each flower is made up of 8 petals and I used the both a cosmos petal cutter and the Squires petal veiner which just made them look so realistic with the texture of the petal. These were then placed around a flower center which had an outer ring of small stemen added which had been covered in coloured sugar to look like pollen. By adding the sugar it really brought the flowers to life, it added a different texture from just the smooth gumpaste and made each of the flowers look different and unique as they do when they grow for real. I really loved how the cosmos flowers turned out and I think these would made a great addition to a birthday or wedding cake, either on their own or teamed with flower buds and other flowers of your choice. Below is the full video tutorial showing exactly how I made the flowers. 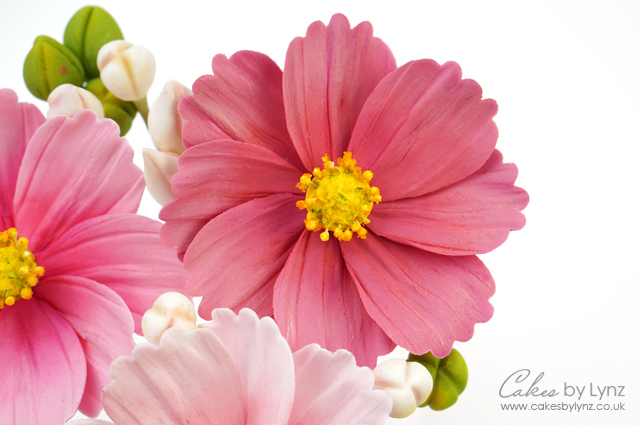 I really hope you will enjoy it and find it useful if you are looking to make your own Cosmos flowers. 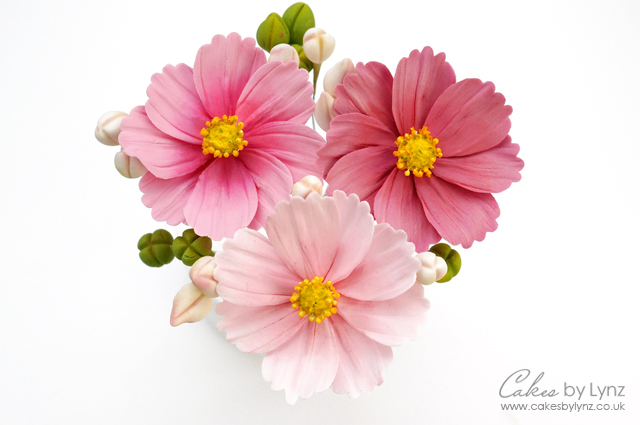 If you’re also looking to find out how to make the flower buds you will find a tutorial for this on my Tutorials page!.